In a country where nature reins supreme, our senses dance for the colours of luscious leaves and rich woods, the fragrance of flowers and fields, and the sweet flavours of honey and maple syrup. We love hearing birdsong, the sound of snow melting into trickling streams, and the call of the loon at sunset. Nature is a passion for most Canadians. 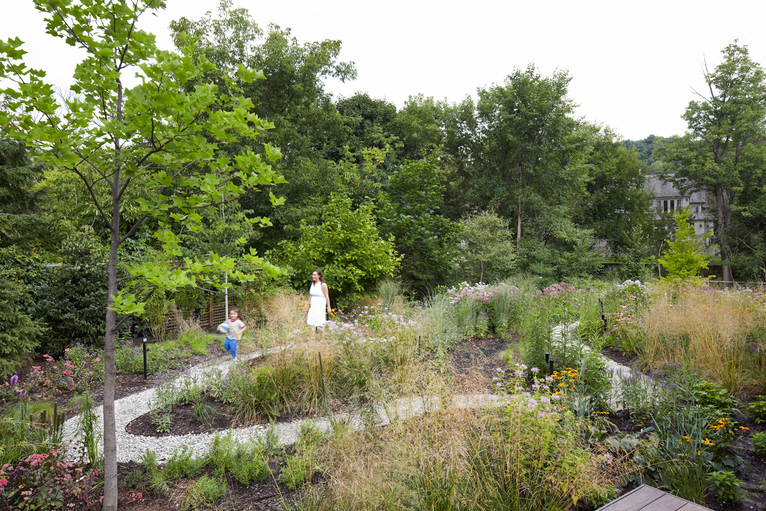 Which is what makes the Don River House in Toronto, Ontario so special. Designed by LGA Architectural Group, this contemporary renovation and addition to an existing dwelling is perched on a natural ravine next to the Don River. 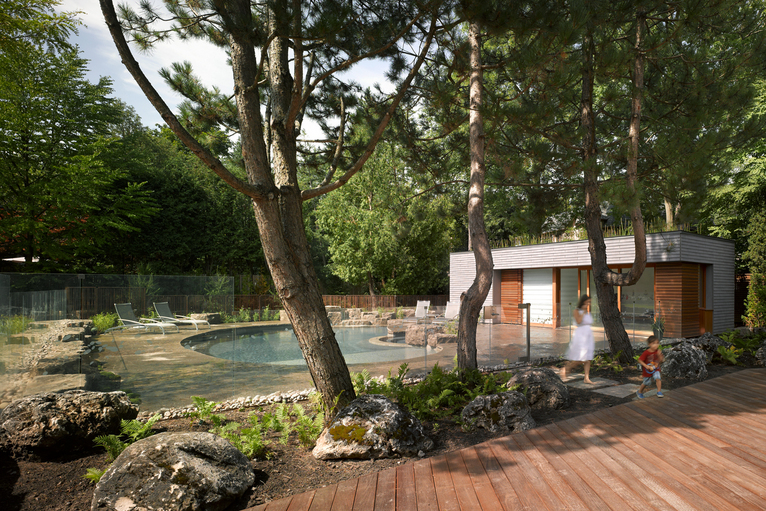 Fusing this bucolic environment with domestic life, the design incorporates a kidney shaped pool wrapped in smooth slabs of stone amongst large rockery and soft ferns under a canopy of majestic pines. The pool area is contained by clear glass panels - a building code requirement - to maintain visual openess. 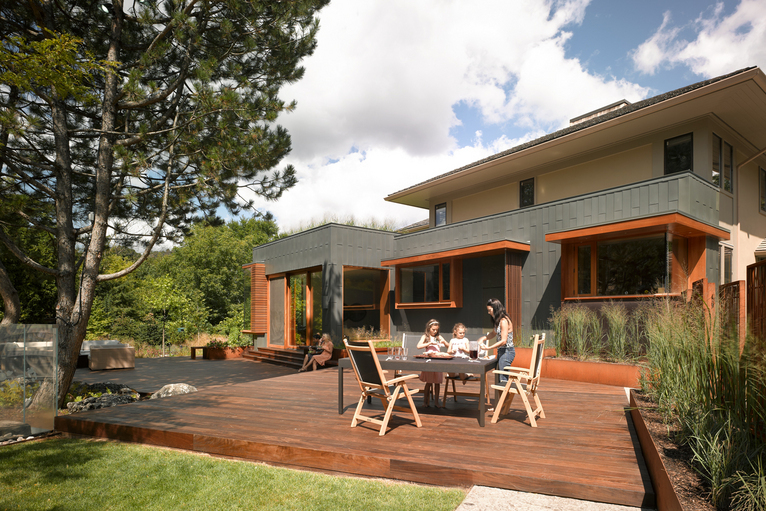 The additions - which connect the rear of the residence to the landscape and pool - feature large expanses of glass connecting the inside out - including large wood decks for socializing. 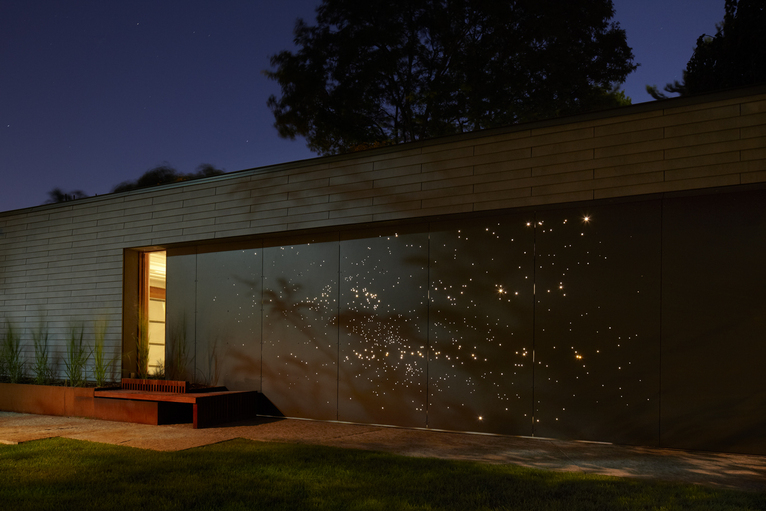 A grey metal partition, perforated with the a night sky starscape, lines one side of the residence. As dusk sets into night, the interior lights spill through the perforations creating the image of shimmering stars. I love how LGA also brought the beauty of nature indoors through the use of material. 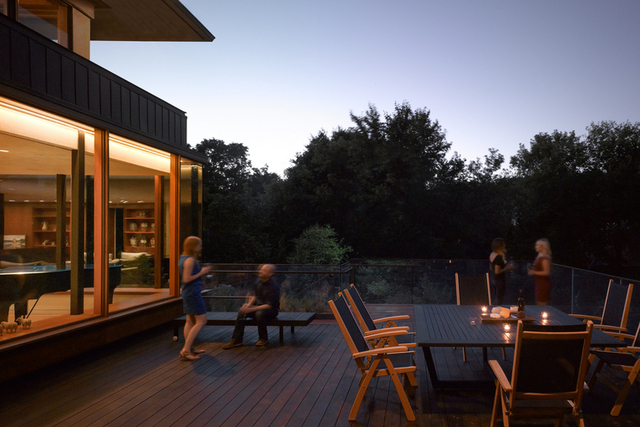 Rich woods are used throughout, anchoring the space with a sense of earthiness. A large cross cut slab of deep grey stone frames a black minimalist fireplace, marking the central meeting space of the home. The spirit of this home perfectly captures our love for Canada’s unique landscape. For more information on this residence and other works, check out LGA Architectural Group. Researched and Written by Lydia Chan, Bachelor of Interior Design at Ryerson University.